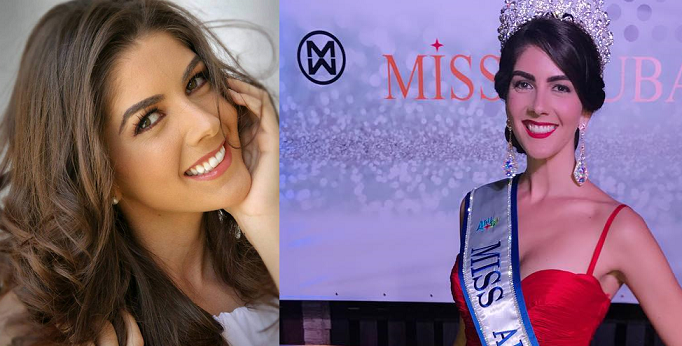 Alina Mansur was announced as Miss Universe Aruba 2017 in a private crowning ceremony on July 4th. Alina was appointed to succeed last year's winner Charlene Leslie and will now have the right to represent the tiny Dutch Caribbean island of Aruba. 26-year-old Alina is a Management and Business Adminsitration graduate from Florida International University. She's not new in the glitz of pageantry as she was Aruba’s Youth Carnaval Queen in 2005, Aruba’s Carnaval Queen in 2009 and International Carnaval Queen in 2010. In the same event, Anouk Eman was appointed as Miss Aruba World 2017 and will fly to China for the Miss World 2017 finals in November.